“Give my regards to Broadway” ok different Broadway but it’s technically supposed to be the LA version of it. Downtown Los Angeles has a lot of history, but for some reason it was headed for a downturn in the past few decades. It’s just been a few years where Dtown is coming back with a lot of renovations and preservation of historical buildings. Most of the renovations are occurring between Figueroa and Main St, which is pretty much the heart of Dtown. Broadway is where the city is focusing most of its attention to as it stretches from the commercial district and the theater district. Of course the street goes beyond that, but essentially this is where it lies in Dtown. 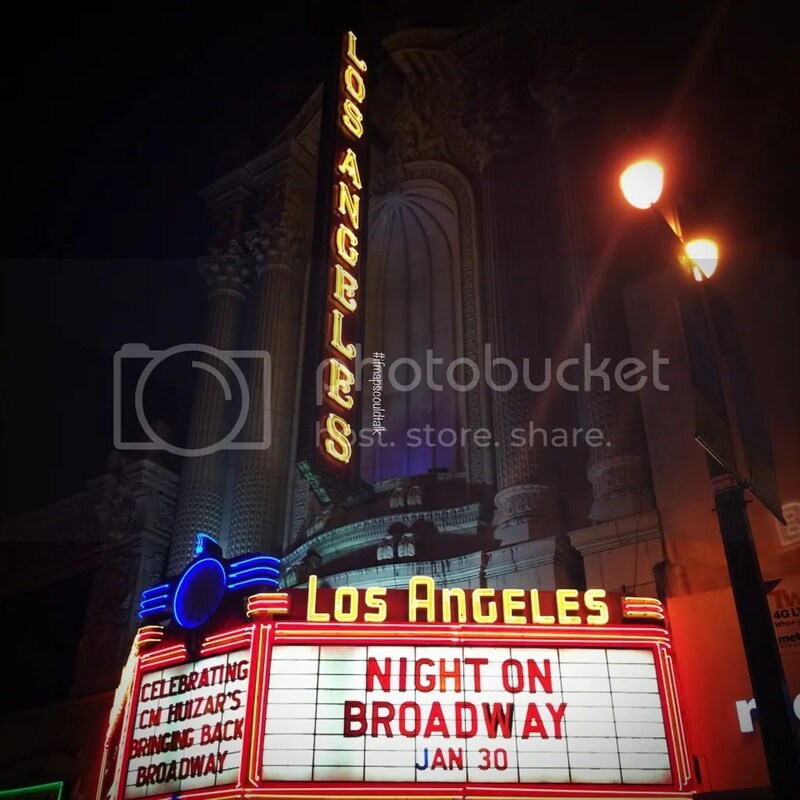 Every year, an event called Night on Broadway occurs in January. This event is from 3rd St. down to Olympic and every theater on this street opens up its doors. There used to be so many theaters on this street but some of them have been either turned into stores or parking lots as they fell into disuse or disrepair. If you start on 3rd St you will find the Million Dollar Theater. This theater is one of the first theaters being built on Broadway and was built by the Sid Grauman; the same guy who is known for the Mann Chinese Theater and the Egyptian Theater both in Hollywood. Next to this theater is the Grand Central Market. 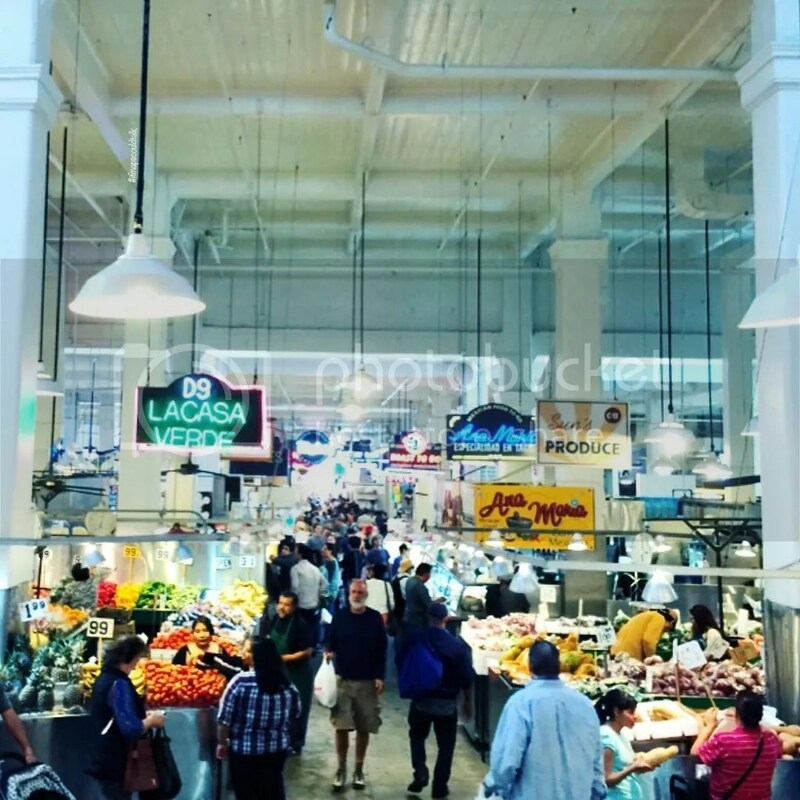 They have many food stalls and is an actual market (more like a farmers market than a super market). If you walk through it, on the other side, you will find Angels Flight and the park with the 500 days of Summer Bench. During the heyday, Angels flight used to take you to Grand Ave (see further info here). 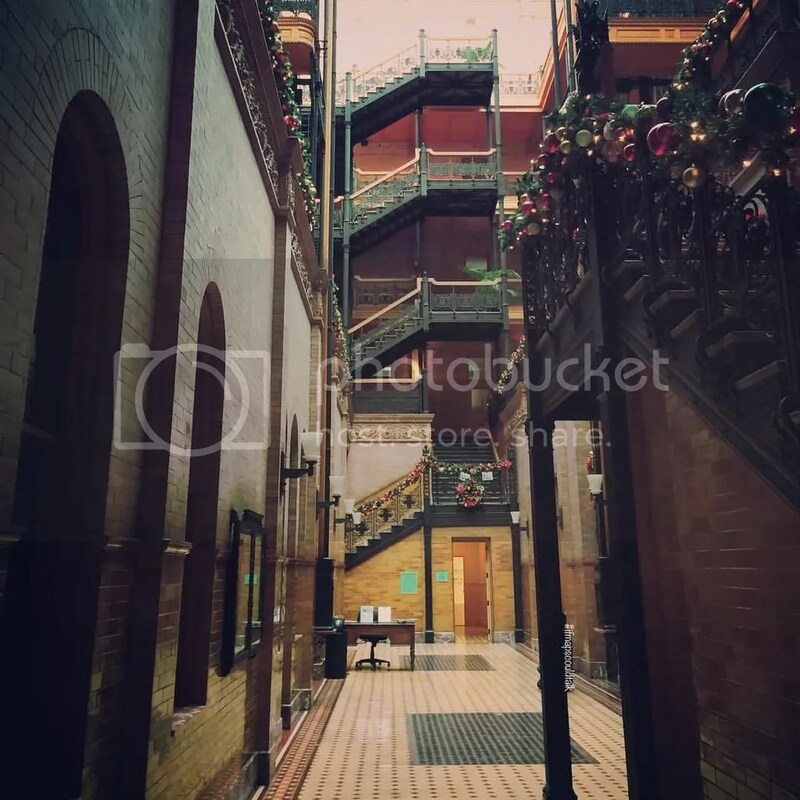 Across the street from the Grand Central Market, you will find the Bradbury Building also famous from the 500 days of Summer movie and other movies. When you go in, it still has that old historical smell. Unfortunately, you can only go up the stairs to the mid-level since it still houses operating businesses. I really think that this building is a great photo op opportunity. If you continue to walk west on Broadway you will find a lot of the old theaters starting from the Los Angeles Theater and the Palace Theater. If you ever get a chance, the Los Angeles Theater is a must to check out. The grand lobby is something to see. After these theaters, you will find a known cafeteria called Clifton’s. When I was little my dad used to take me here. They did renovations on it. I don’t remember much except it felt so big when I was smaller. Now it got smaller, or did I just get bigger. I’m not sure what they did but still felt like the old Clifton’s. Although they did renovate it, it still has that historical feel with the exception on the second floor which felt a little modern with the big tree in the middle. Something to check out if you want to lounge around or get drinks after work or for a night out. Continuing on Broadway, you will find the Globe Theater, the Tower Theater, and the famous Orpheum Theater. 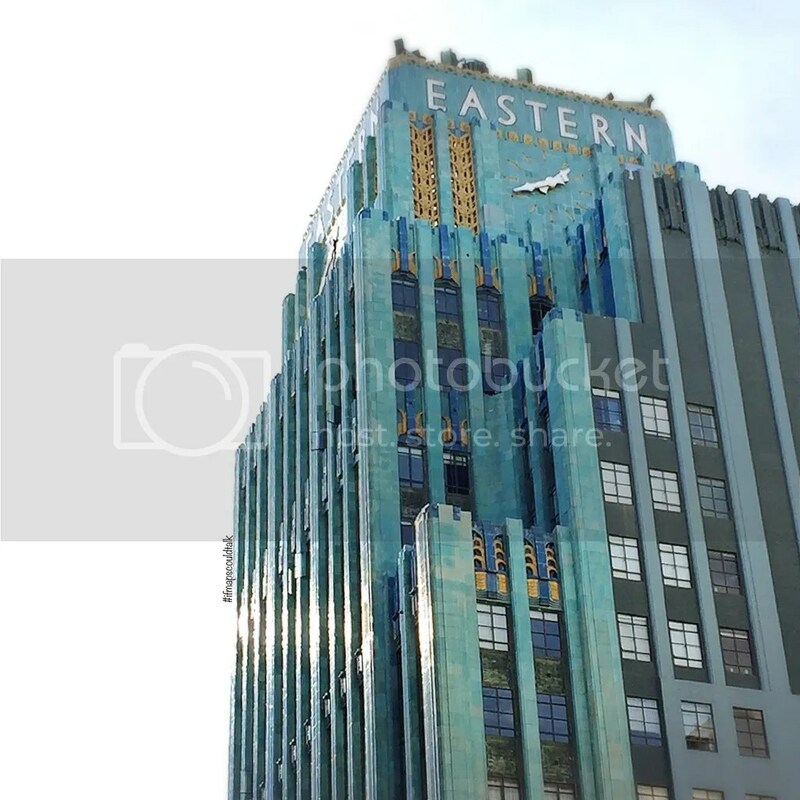 Across from the Orpheum is the Eastern Columbia building which has an Art Deco feel. I’ve always wondered if they have a Western building if they have an Eastern building lol. To round up your Broadway experience is the United Artist Theater. I think 3rd st to Olympic is a pretty good exercise don’t you think? That’s about 7 Los Angeles Blocks! This entry was posted in Downtown, See and Do and tagged Broadway, Los Angeles. Bookmark the permalink.